I have wanted to tell you gyus something for a while now! I’m from today officially a part of the CAS-ual Fridays Stamps company team! Hooray!! I just love CAS-ual Fridays stamps and Fri-dies and I’m over the moon excited to start! Welcome! My name is Michele and I am the owner and designer of CAS-ual Fridays Stamps located in beautiful Colorado. My designs are based on my love for Clean And Simple design, hence the CAS in our name, but they will delight any stamper’s style. Whether you are a CAS enthusiast or prefer a -dash- of Utterly Adorable Layers, you will have a blast getting inky with them! The stamps are made in the USA of the finest clear photopolymer available. My line of coordinating wafer thin Fri-Dies are also made in the USA, and are compatible with most leading die cut systems. I release new designs throughout the year so be sure to follow along on our blog so you don’t miss anything. The party will always begin with amazing sneak peeks from the Girl Fridays, and continue with inspirations and tips throughout the month for your oohing and aahing pleasure. Be sure to visit our Pinterest Boards where each stamp and Fri-Die set has its very own board filled with inspiring projects. 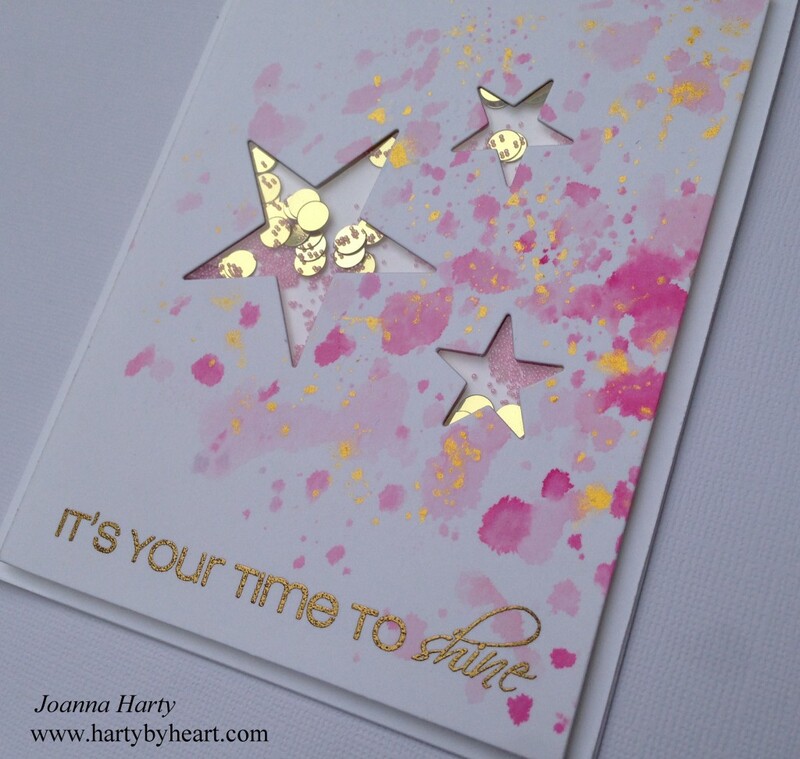 Over to my card, I have created a video using Twinke and the Star die, I had a lot of fun creating this shaker card, take a look at the video if you would like to know how it came together! Thank you so much for stopping by and I wish you all an amazing day! This entry was posted in Friend cards, Happy Birthday cards, Just Because, Shaker cards, Video and tagged card tutorial, cas, cas-ual fridays, clean and simple, ink smooching, Shaker card, video on September 4, 2015 by Joanna Harty. 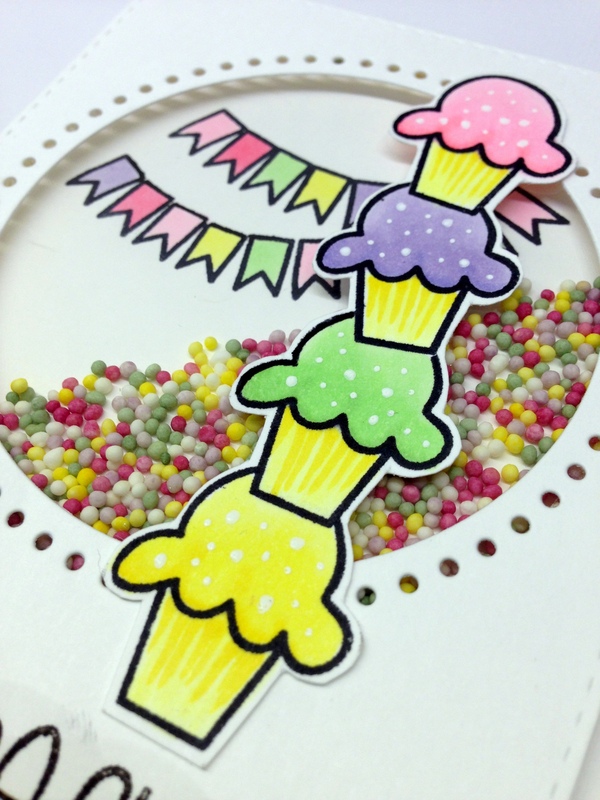 This entry was posted in Happy Birthday cards, Shaker cards, Video and tagged cake day, Happy Birthday, Shaker card, taws, the alley way stamps, video on May 28, 2015 by Joanna Harty.